In a revised piece from the earliest days of DTW we look at the UK’s first true economy car. But we make an even grander claim for it. 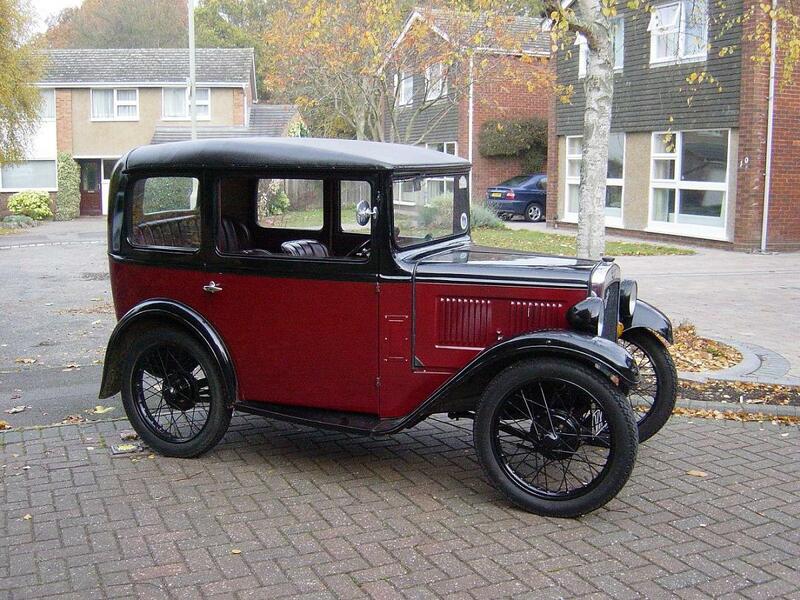 My French teacher at grammar school, Mr Roberts, had a small collection of Austin 7s from the 1920s, which he alternated using as transport to work – back then, that sort of car collection was practical, even on a teacher’s starter salary. I think that he considered me a bit of a prat (and history has certainly vindicated him on some levels) so, sensing this, I reciprocated with contempt for his collection of little, old and, at the time, very cheap cars. In hindsight, I might have had a more rewarding time discussing the niceties of the Ulster, Ruby, etc with him and he might have decided that I had some redeeming features. I deeply regret my glib teenage contempt, though it was entirely my loss. He was right, I was wrong. Aside from ‘what if Karl Benz couldn’t get his benzine engine to start?’, arguably the biggest one in motoring history (and I’m not being parochial here Ford historians) is what If Herbert Austin hadn’t insisted, against considerable opposition, that his company introduce the Austin 7 in 1922. Unlike cyclecars and other economy vehicles of the time, it was a proper car, scaled down, with a front mounted four cylinder 747cc (except on the earliest cars) engine, clutch, 3 forward speed and reverse gearbox, driveshaft leading to a differential rear axle and four wheel brakes. 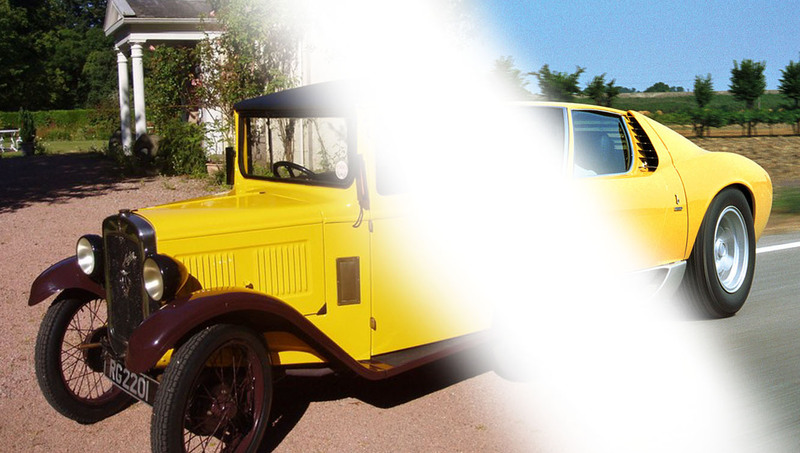 Unlike a Model T Ford, it is a car that a modern driver could easily adapt to. Although lacking front brakes, the Citroen 5CV introduced the same year, could also lay claim to being a proper and decent small car, but it had neither the long-term success nor the influence of the Austin. Without the 7, affordable motoring in a proper car might have been much longer coming to the UK, and to many other markets. Indeed it might never have become as affordable as it did. But the influence of the 7 went far beyond that. Without the 7, there would be no Jaguar whose first Swallows were rebodied 7s. There would be no Lotus, whose first cars were 7 based and, also, no Lola, so no GT40 and all those cars it inspired, notably the original ‘supercar’, the Miura. There would have been no American Austin, set up to produce the 7, who became American Bantam and produced the successful design for the Jeep so, military influence notwithstanding, vast tracts of the US left unexplored and no Land Rover either. Also no Reliant, who faithfully copied the 7 engine, albeit in aluminium, for its generations of three wheelers. So no Only Fools & Horses icon, no Scimitar, no Lancia Beta HPE and no Citroen BX, which employed Gandini’s cast-off design for the Reliant FW11. 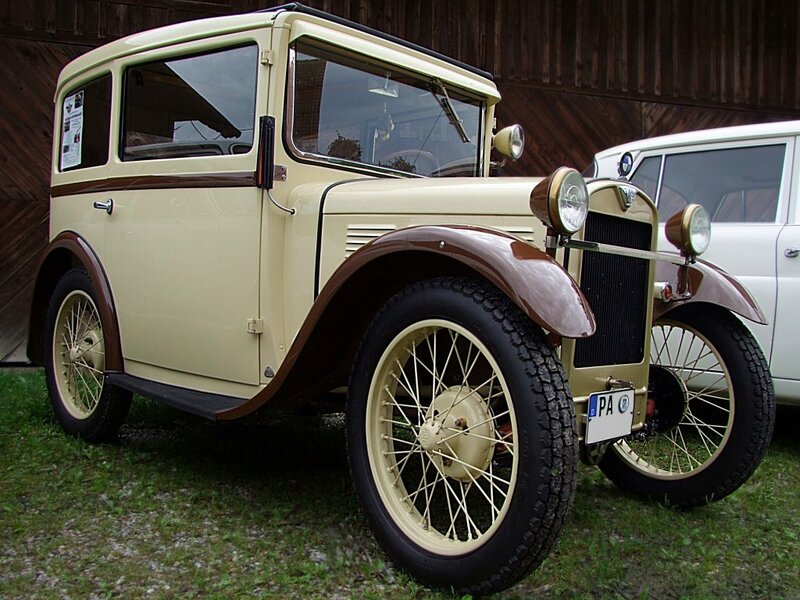 There would be no BMW or Nissan who both used the 7 as the basis of their first cars, though unlike BMW, Nissan didn’t produce a direct copy under licence as sometimes claimed. So, with no Nissan there would have been no Cherry or Cedric, thought it might only worry me that such gloriously undynamic car names were lost and you might mourn the GT-R or Juke instead. Without Nissan, Renault would be a very different company today. With no BMW, the template of the modern aspirational car might be very different, though the definite upside would have been that there would be no X6. Then there would have been no resurrection of Rolls Royce and Mini and, since an original variant on the Mini was labelled the Austin Seven (letters not numbers), it’s unlikely there would have been a Mini to revive anyway. There would also be no Bristol, whose first car was derived directly from pre-War BMWs – oh, there is currently no Bristol, though we live in hope – and BMW wouldn’t have gobbled up and spat out the interesting Glas company, whose small elegant V8s are now sadly forgotten. It goes on, and that’s just the start of a useful game for cold Winter evenings. But there is one negative. Had Austin not prospered following the massive success of the 7, it might never have joined with the weaker Morris in the 50s to start those futile mergers, with their destructive in-fighting by parochial management, that whittled down the UK industry. 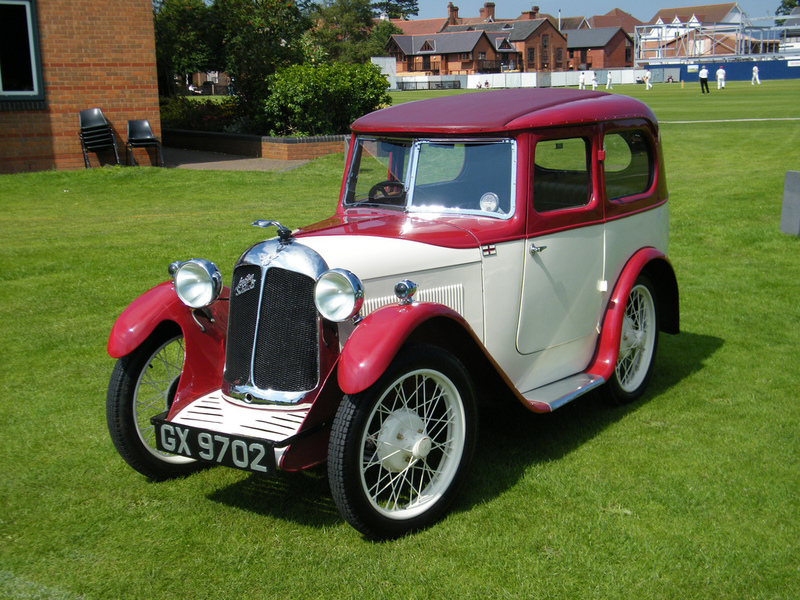 The Austin 7 was the original small people’s car with a direct influence that no other car can match. Without it, motoring might have been very different. History, Chance, Butterfly Wings – that’s the motor industry. I had not been aware of the Reliant FW11 until you mentioned it. A fantastic “what if…?” all on its own. If you count the 2 door Volvo Tundra as another variant, does that make Gandini’s design the most bandied about before it found a home in history? Sean your French teacher would have been proud. I often wonder what things would have been like if “proper cars” had not been widely adopted by the masses. In other words cars like the Model T which had a manually activated version of a modern automatic and was a light weight off road vehicle. Early Lanchester’s which didn’t conform to the Austin layout, Tatra, Grégoire, Cord, Tucker, Stout Scarab etc. Cars that addressed packaging of mechanicals in a logical way. I guess one could surmise we have finally reached that point today but if it had not been for backward thinking in my eyes it might have arrived sooner. Thank you dgate. Indeed, you can look at the 7 as an important and admirable car just because it was intelligently simple, thus bringing the car to a mass of people for whom it would otherwise have been technically too daunting or too expensive. But if you look at the Morris Marina of 50 years later, you must wonder whether the 7’s success didn’t stultify the industry to a degree. I can see the enjoyment to be had from owning a 7 but, if you were to put it in a line with any of the cars you mention above, and I had the time and money (and ability!) to tinker away, I’d not choose the 7. One correction would be that the all-alloy Reliant OHV engine was actually said to be a downscaled copy of the 803cc Standard SC engine that powered the Standard Eight. It is funny though how BMW managed to develop a new OHV unit in the pre-war BMW 3/20 with the same tooling as the Austin 7, while Austin themselves had neither the desire to update the Austin 7’s engine (if it were possible) let alone create a proper pre-war replacement for the Austin 7 that would have had some relevance in the early post-war era. Next Next post: Just How Good Is It For Mazda? Rather, But From a Low Base.